The Conversation is the gift of clarity; clarity for family, friends and others who you care about. ... We found out that our lives were not so different and that we truly loved each other. I had never felt so close to him. Somewhere I came across the observation, “You are what you were when.” The idea is that people come from a certain place and time. It shapes ones values and, to some extent, orders ones actions. We also know that in conversation what people say and what people hear can be two very different things. Expressions of love, forgiveness and remorse can be misinterpreted because the past defines our present. So it was with my Dad; he from Brooklyn and the Great Depression and I from the suburbs and comfort. It was in this context of parallel lives and with his failing health that it was time to have The Conversation. He got it started. “Son, I love you.” What an ice breaker! With his wisdom The Conversation took off. We talked about his life, career and family, his values and where his life was headed. There was no surprise that his vision for dying was framed entirely by his strong sense of faith. The Conversation is the gift of clarity; clarity for family, friends and others who you care about. Getting it started is the hard part. 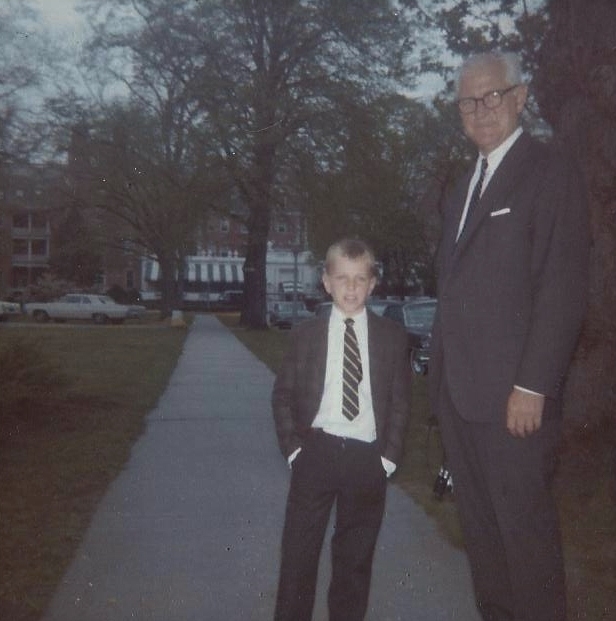 I am eternally grateful that Dad got it going. We found out that our lives were not so different and that we truly loved each other. I had never felt so close to him.